I had the pleasure to visit this fine winery in the Extremadura of Spain. 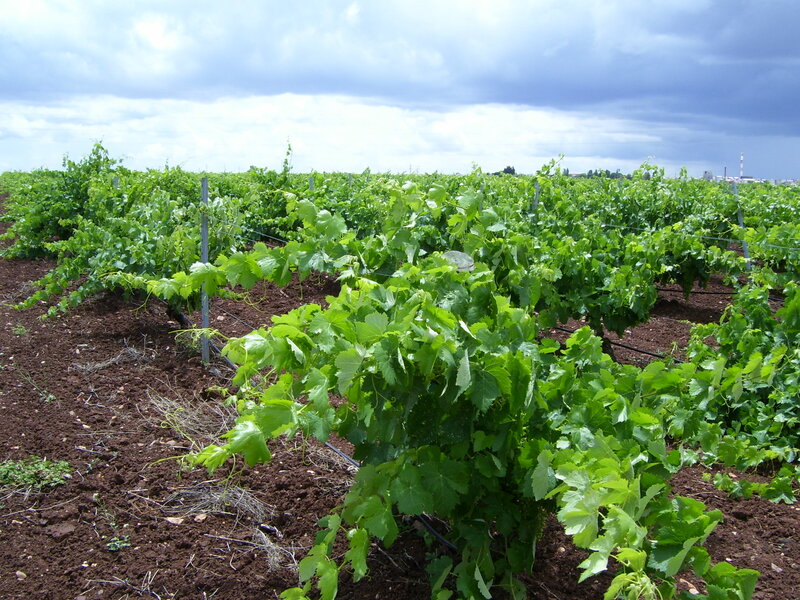 The DO (Wine Region) is called Ribera del Guadiana. These charming, talented people make superb wines. And they are surprisingly affordable. This crazy world needs more good news! 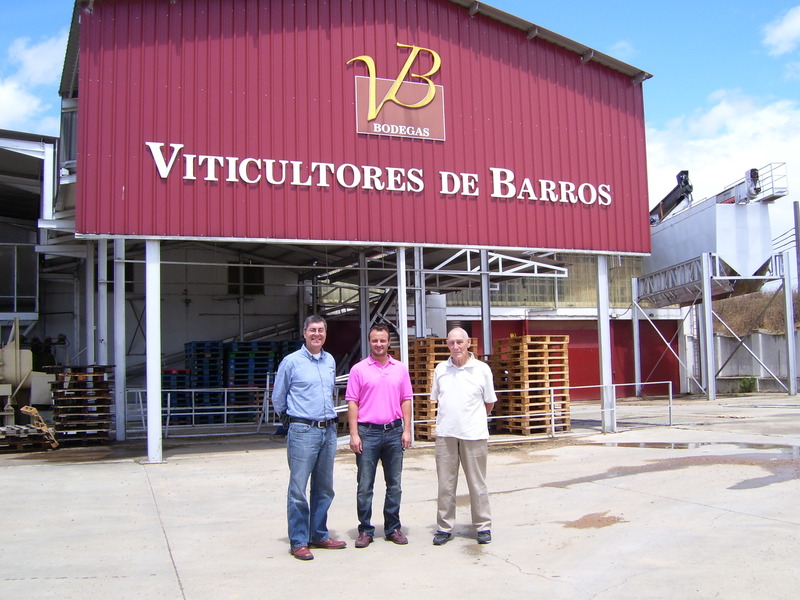 At the winery with Francisco, the head winemaker of Viticultores de Barros winery in Spain. Export manager Piedad hosted us at the winery, in the vineyards, and then to her restaurant in the nearby town of Almendralejo. A wonderful experience! We learned from Francisco that the most important part of winemaking is to grow excellent healthy grapes. “Then it’s easy,” he told us. The results are exceptional wines. More than one can hope for in this price range. The quality/price ratio is excellent. Look at how healthy the vines are at VB. The most important element in the production of good wines. 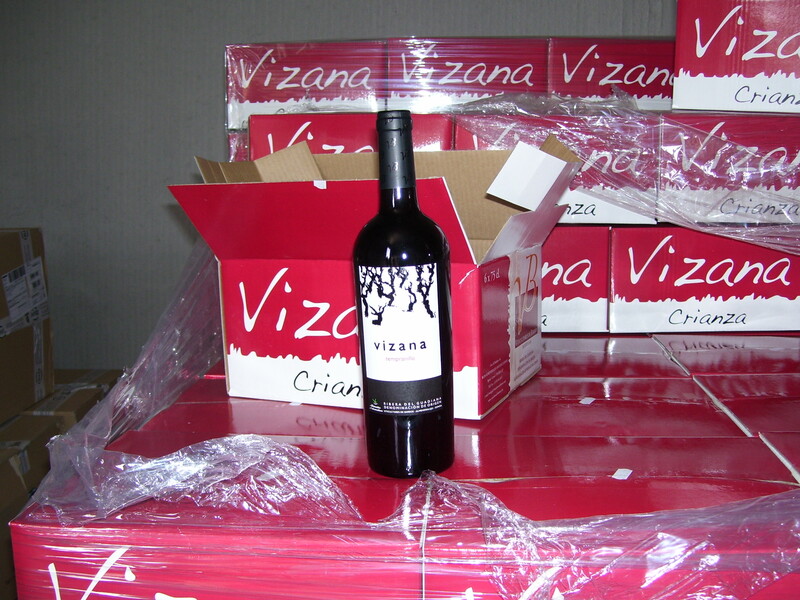 Vizana is VB's top red wine. Crianza denotes that it has seen some nice time in oak barrels. Emperador de Barros (Macabeo) 2012: 100% Macabeo. A charming white wine from Spain (Ribera del Guadiana). Peach, honeycomb, citrus notes in a fresh, nicely acidic well-rounded package. Emperador de Barros (Cayetana) 2012: from the Cayetana varietal, unique to Extremadura. Refreshing fruit, honeycomb, herbal notes and grapefruit. Characterful and gorgeous. VB Rosé Syrah 2012. A dynamic rosé! A balanced and fresh experience. Red fruit aromas & strawberry notes. Live a little, try it. Vizana Tempranillo 2009: Blockbuster affordable tempranillo crianza with minerality, spice, liqueur cherries, blackberries, liquorice with a hint of dark cocoa. Firm tannins, full body, long finish. Did I mention I LIKE this wine? Wow. It matched perfectly with New York Sirloin. 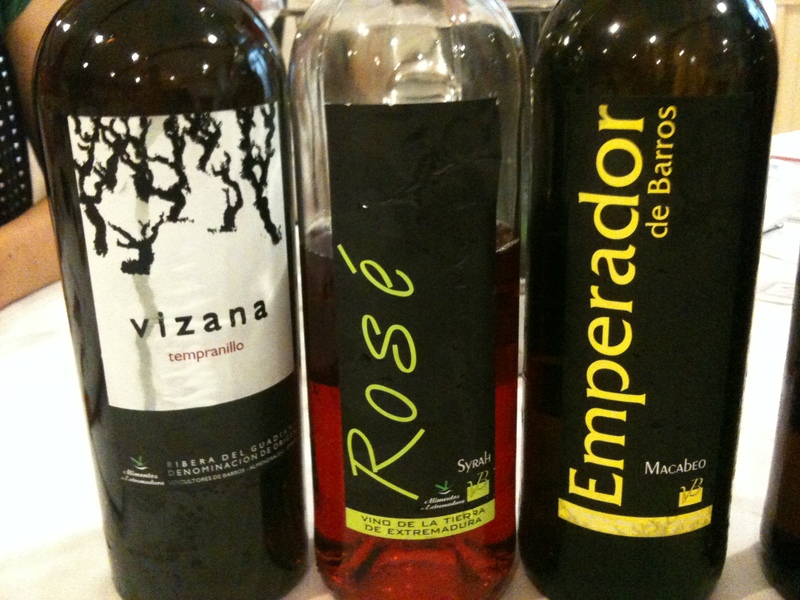 VB's Vizana Red, Rosé, and Macabeo White. Previous Previous post: Royal Combier predates Grand Marnier. So nice, but not in LCBO. Our agency will have to offer it to them! Next Next post: At Walkers Fish Market, Burlington.